I'm a huge fan of lazy susans and have many of them in my home. 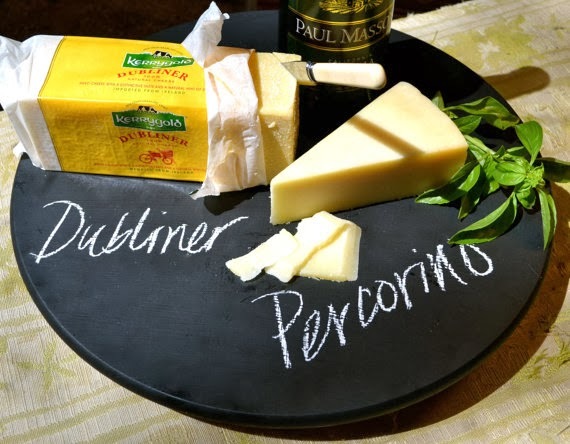 They are great for serving cheese and appetizers, like this great chalkboard lazy susan from Cecilia Rosslee on Etsy. They are also great for serving family-style on a round dining table. My favorite way to use lazy susans is in my pantry and they have made a world of difference! I organize my spices, oils, balsamic vinegars and salt collection on them. 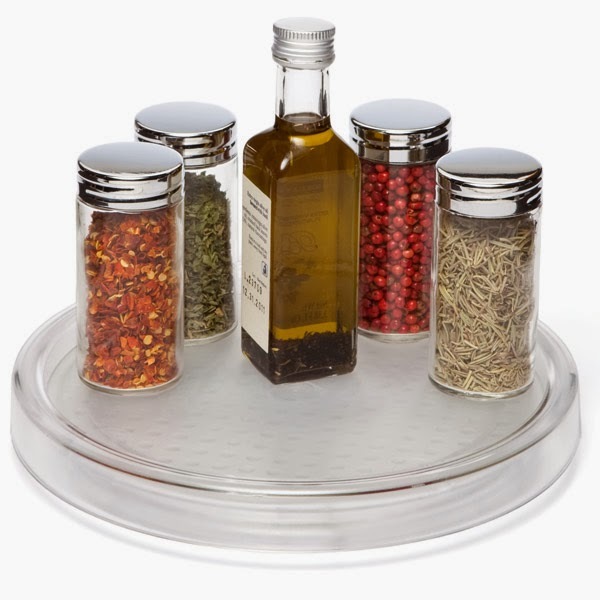 I have one with all of my baking spices, powders and sodas and another with cooking spices. I can easily see everything I have and they make my 'mise en place' when prepping to cook much quicker. I also find that I use what I have as I don't have to dig for anything on the back of the shelf and nothing is forgotten. 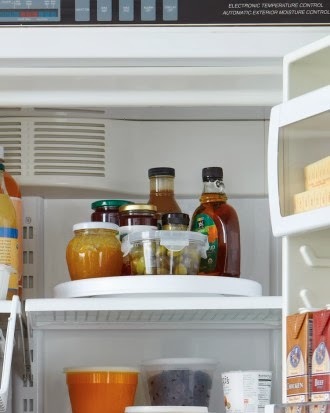 The refrigerator is another great place to use a lazy susan as pictured here on the Martha Stewart website. Who can ever get to everything on the top shelf in the back, anyway? Note: I don't recommend the double tier lazy susans for storage as it's difficult to really get to all of the contents on the bottom tier. Happy organizing & happy cooking!